Despite the gray, rainy day I see outside of my window this morning in Park City, soon I’ll be keeping the windows open all night. Daylight will linger until 9pm. 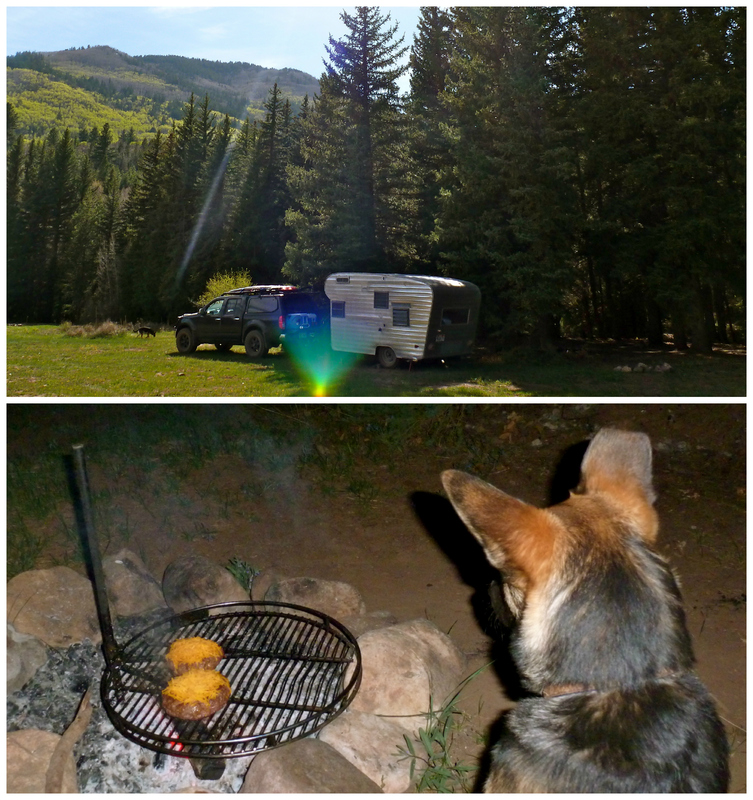 We’ll brush the dust off of Betty and call her “home” for brief periods of time, somewhere in the woods. 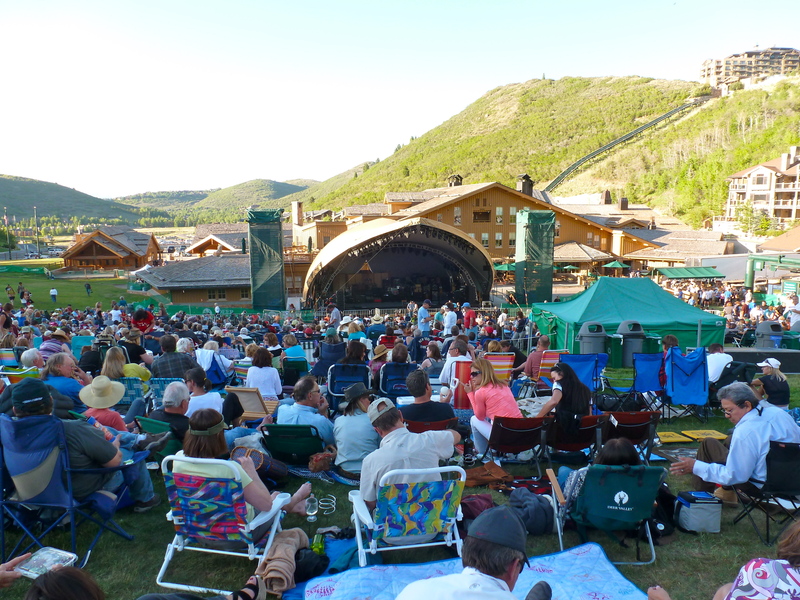 There will be BBQs to host, concerts under the stars, and big dinners al fresco. I love warm weather fun! 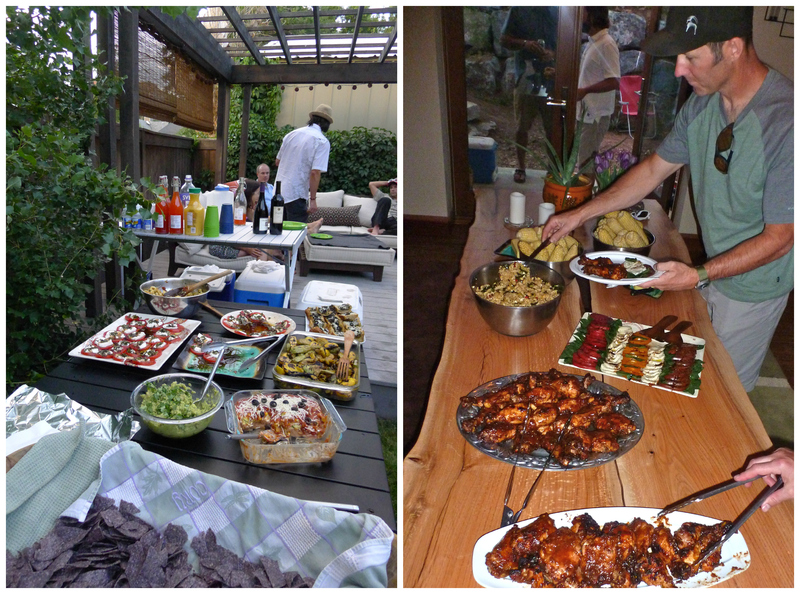 In the last week or so, I put together a couple of tasty, summer-y side dishes for dinners with John. They were simple to make, and they could easily be multiplied to feed a larger, hungry BBQ crowd. 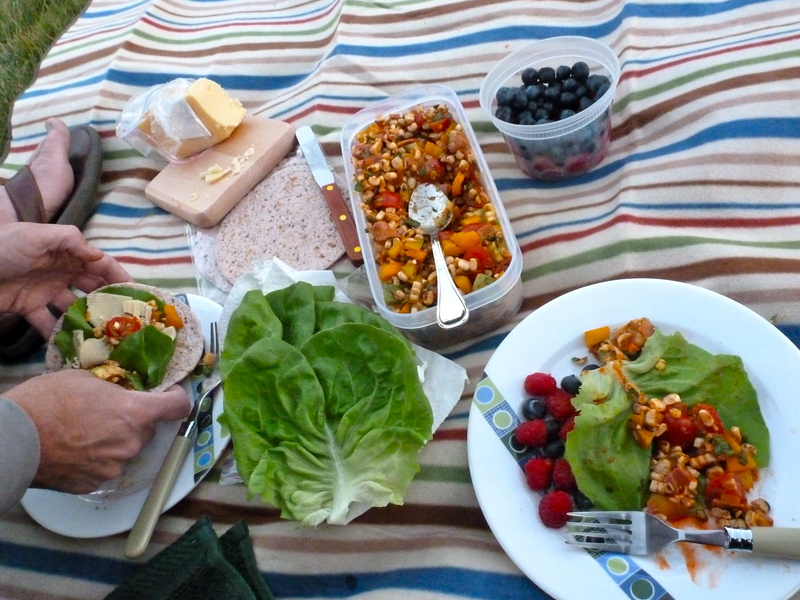 They’re yummy when served warm OR cold, so they can be packed up to tote along on a picnic or camp out. Check it out! The first recipe came together as I was making it. 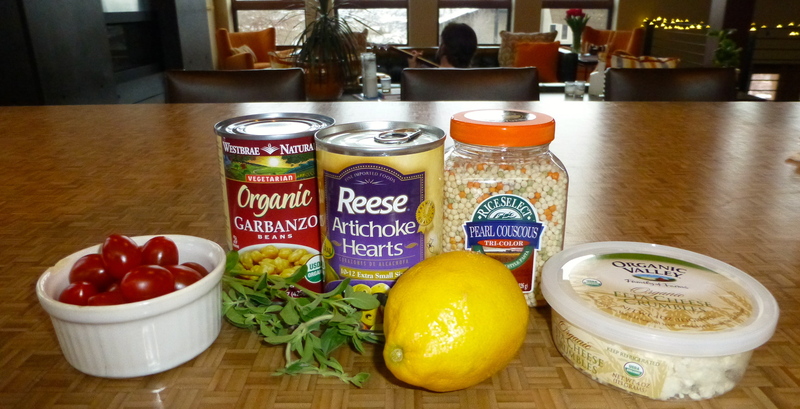 John had plans to grill some fish, so I put together some ingredients I had on hand and hoped for the best. 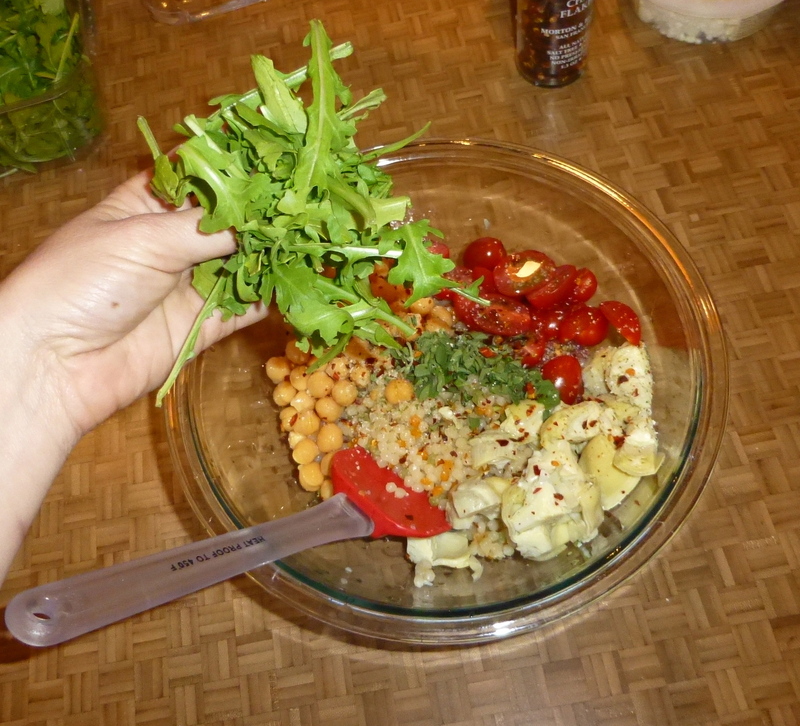 The result was Israeli Cous Cous Salad with Artichokes and Feta– and it was delish! 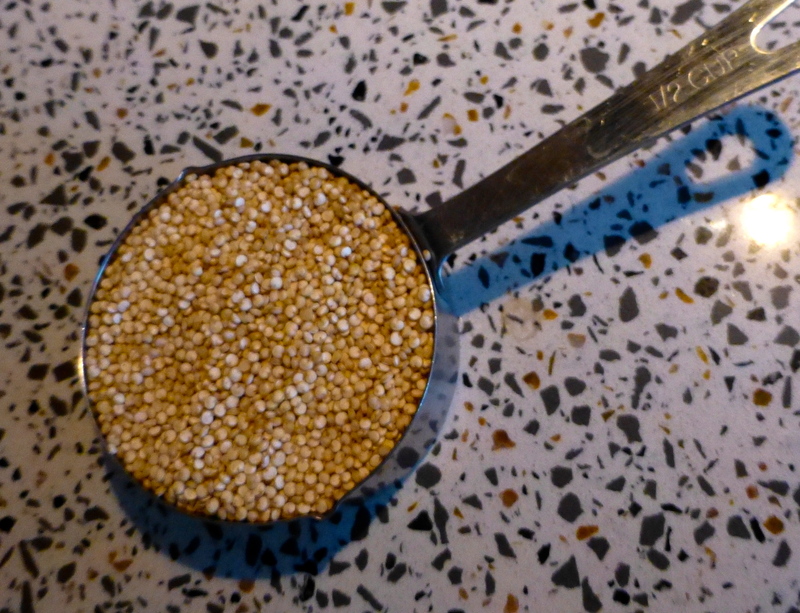 Have you ever made Israeli couscous? 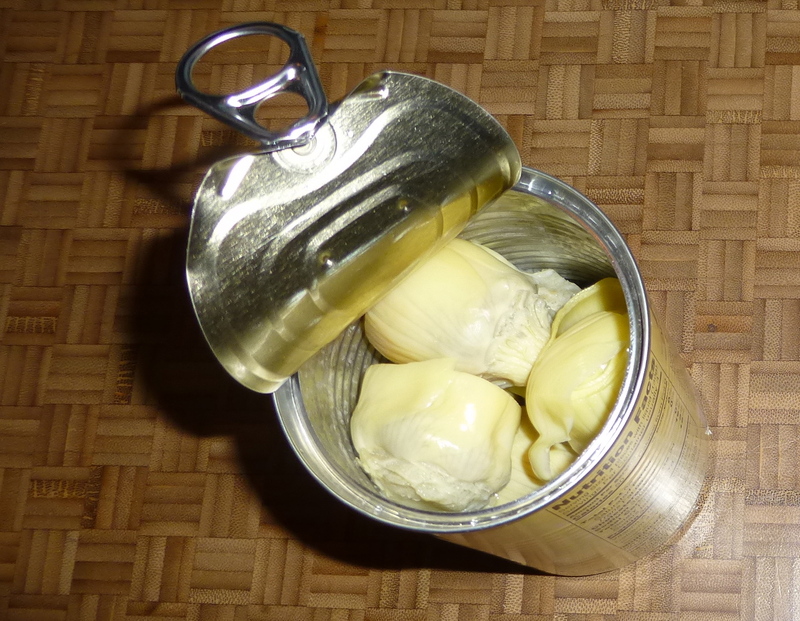 Instead of teeny little granules, the pasta balls are a little bigger- mini-pearls. 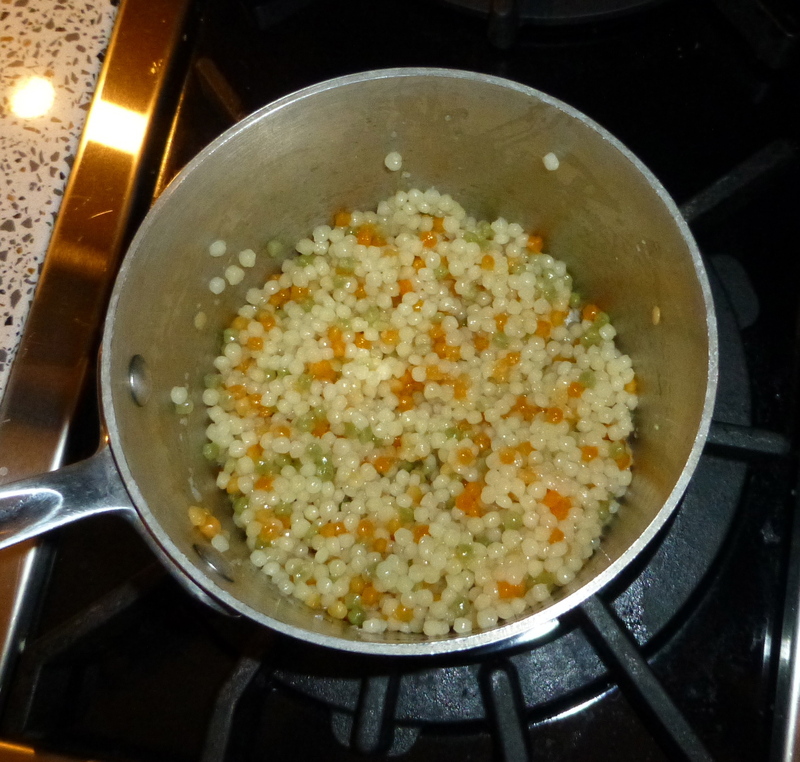 I used tri-color couscous, and prepared it according to the package using chicken broth instead of water. 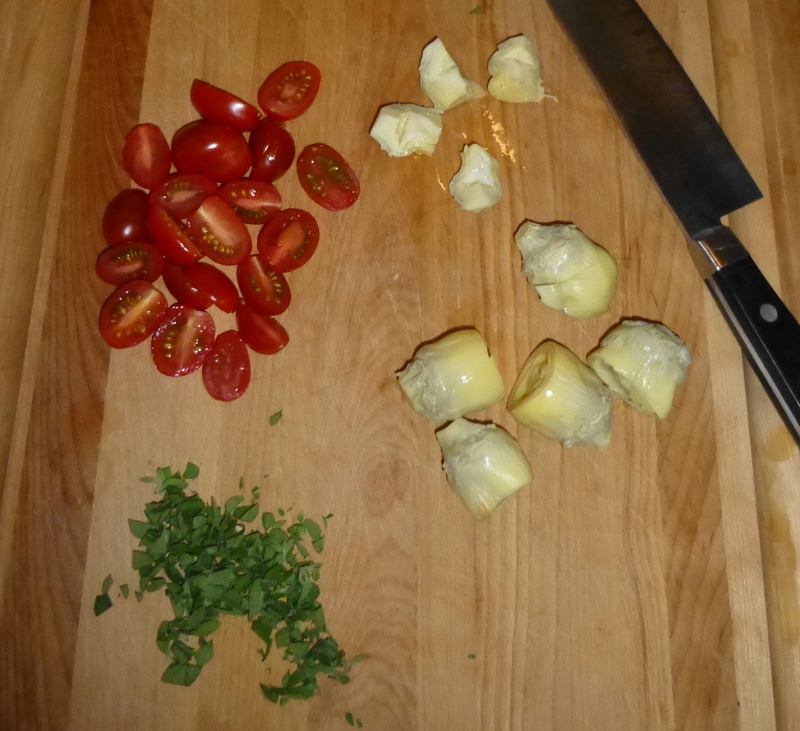 I chopped up a handful of grape tomatoes, half a can of artichoke hearts, and some fresh oregano. Cholula thinks she likes artichokes. 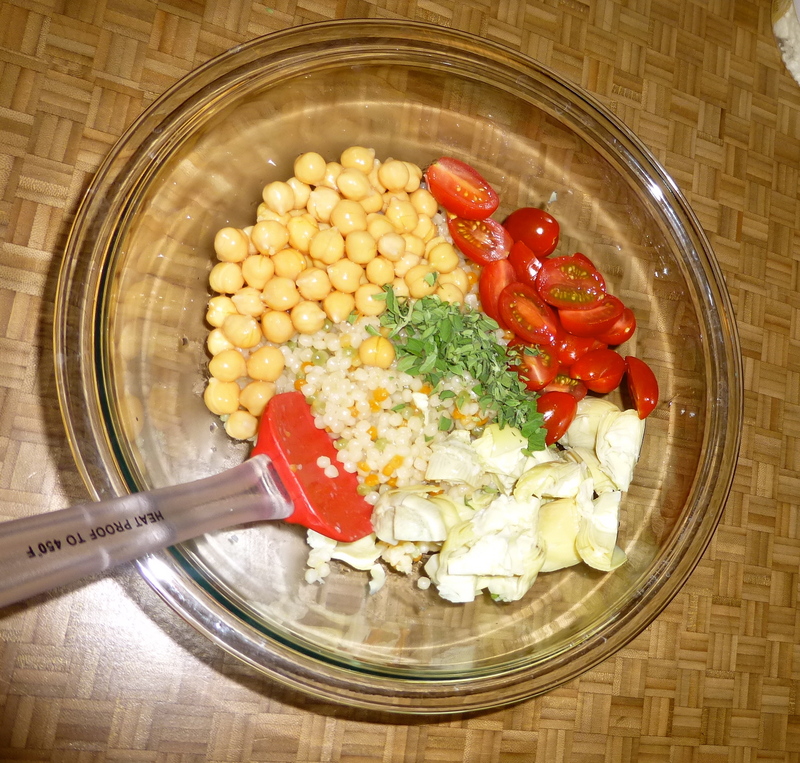 I placed the couscous, half a can of drained garbanzo beans, the tomatoes, artichokes, and oregano into a bowl. I squeezed a lemon over the top, sprinkled some garlic salt and crushed red pepper for heat, and added a handful of arugula. 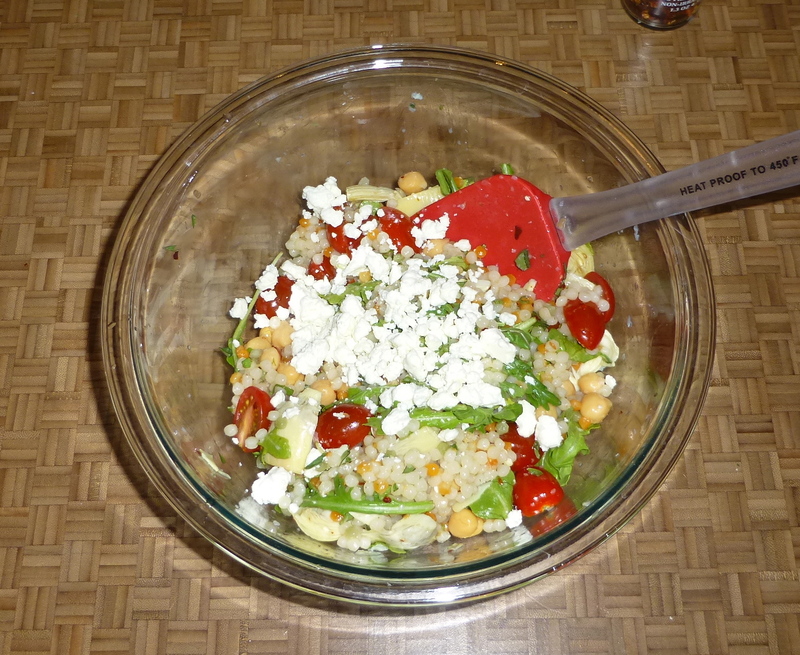 I gave the bowl a stir and added a good amount of salty feta cheese. How beautiful is this? 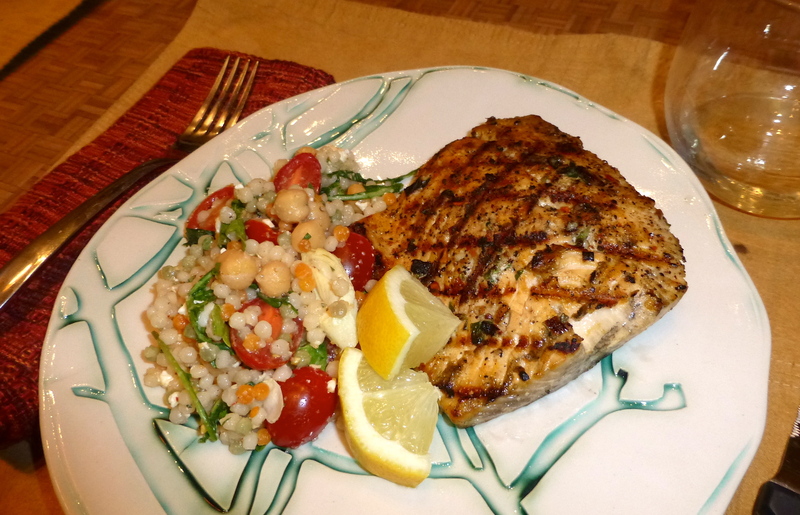 The couscous salad was ideal with the fish- light and lemony, with a salty bite from the cheese and a little spice from the red pepper. Because I stirred it together while it was warm, the arugula wilted slightly and the feta cheese flavor blended in with everything else. YUM! 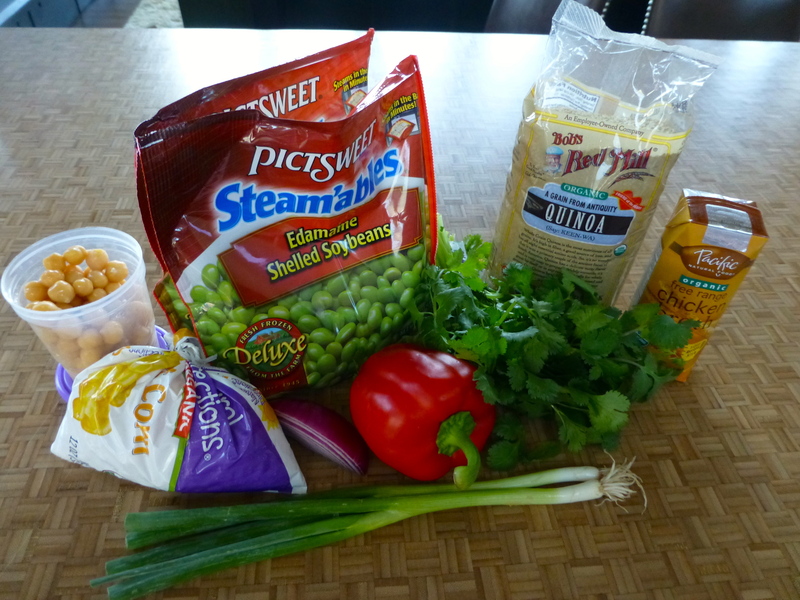 I was feeling a bit guilty for thoroughly enjoying the couscous salad (couscous is not welcome in Project Reduce Gluten), so when I came across a recipe for Edamame Quinoa Salad, I knew I had to try it! 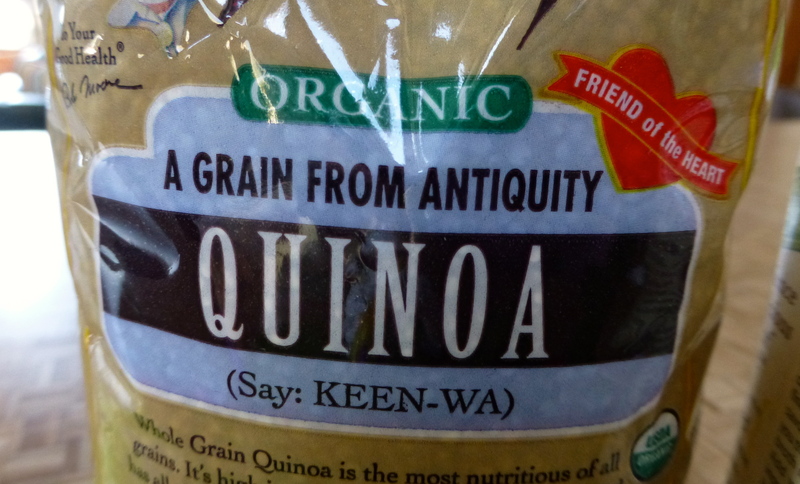 I started by preparing the quinoa according to the package (again, using chicken broth instead of water). 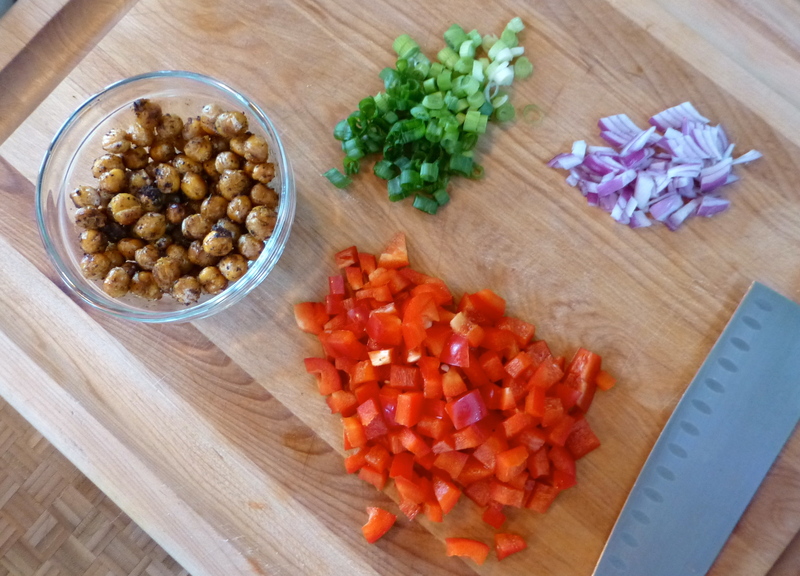 While that was doing its thing, I had a crazy idea to use up the leftover garbanzo beans. Instead of just stirring them into the salad, I decided to try to blister them with seasoning in a fry pan. It’s my new favorite thing. 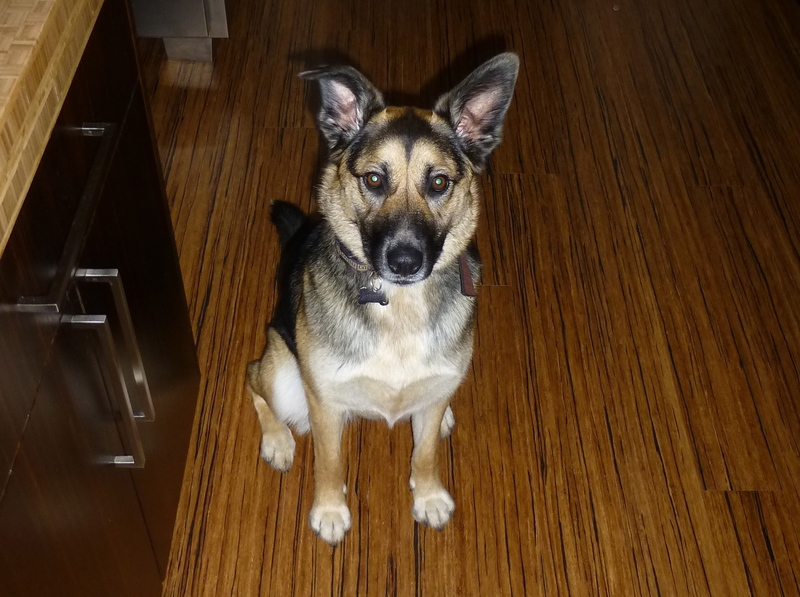 I was envisioning crunchy little alternatives to croutons. 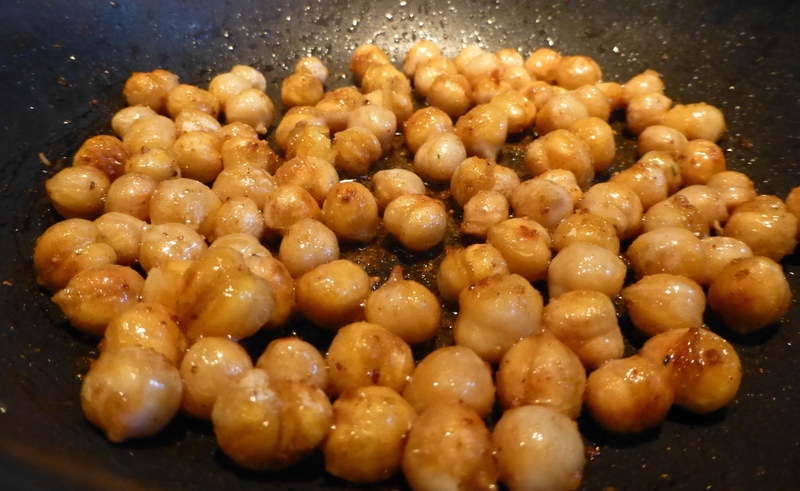 I heated up a little oil and butter in the pan, added the garbanzo beans, and sprinkled a generous amount of garlic salt and cumin on them. They came out browned, nutty, flavorful– delicious! 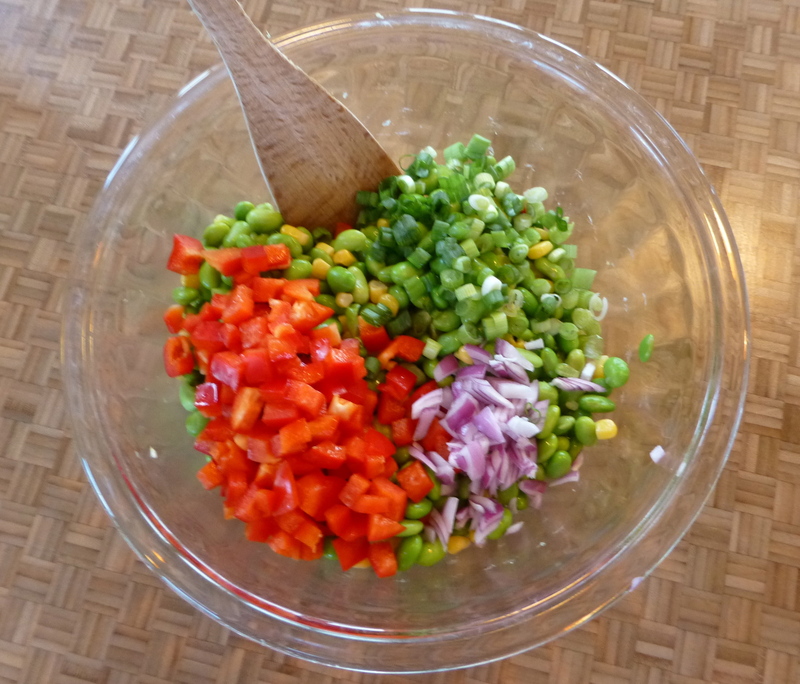 Next, I chopped up some red pepper, red onion, and a couple of scallions. I warmed up some frozen edamame and corn in the microwave. 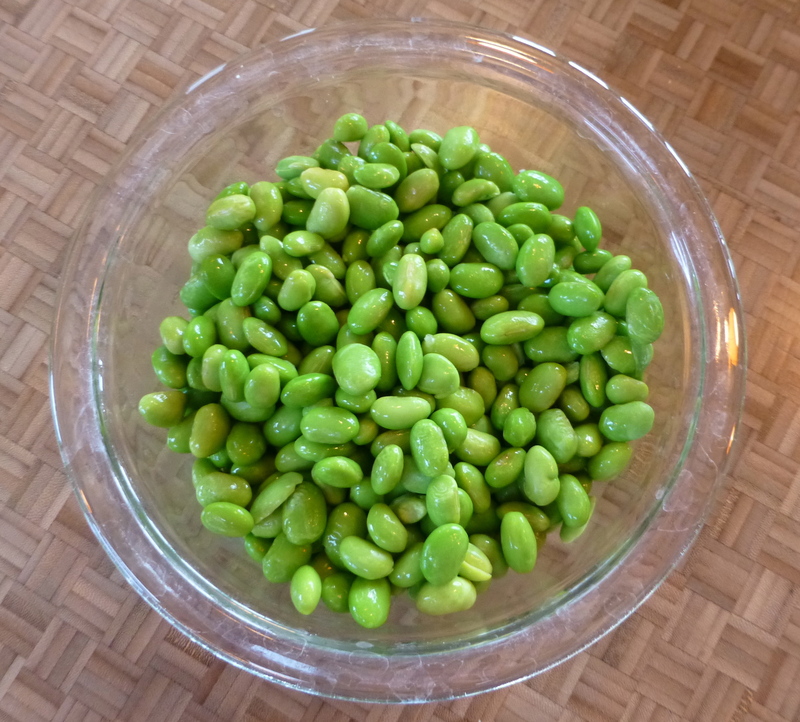 I don’t know why I’ve never used pre-shelled edamame before. The work is already done for you, and it’s such a tasty little addition to a dish! The quinoa wasn’t done yet, so I got started on the dressing. 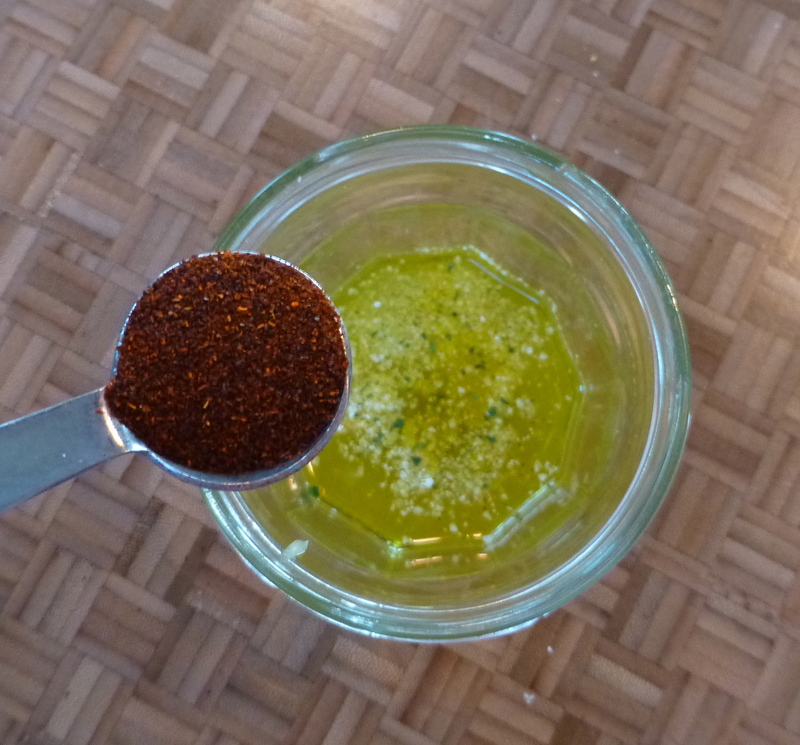 In a little jelly jar, I added olive oil, lemon and lime juice, garlic salt, chile powder, dried thyme, cracked black pepper, and some cayenne. 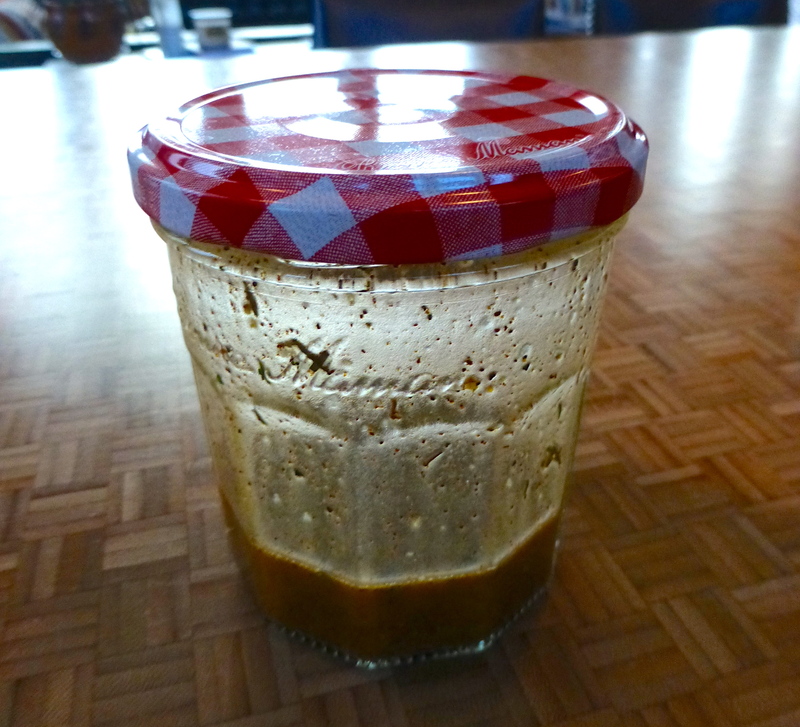 I tightened the lid, gave it a good shake, and the dressing was DONE. So easy. Let’s put this all together! 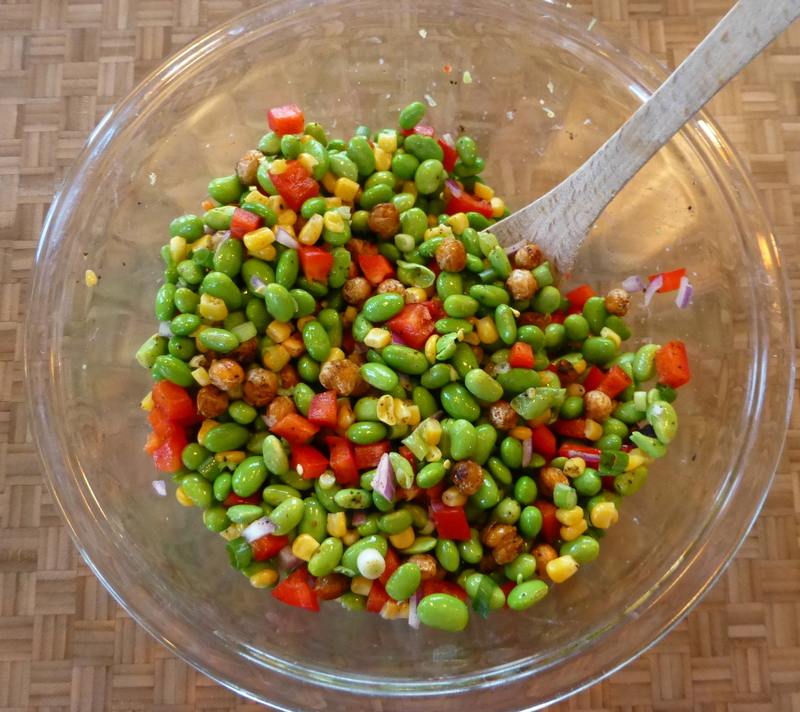 In the bowl with the edamame and corn, I added the pepper, scallions, and onion. Next came the cooked quinoa and some chopped cilantro. I poured in the whole jar of dressing and gave it a good stir. Vibrant and beautiful! 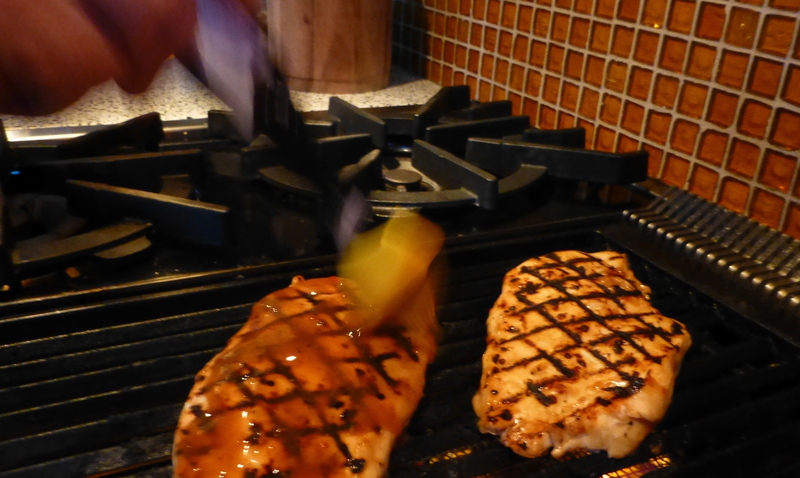 John grilled some chicken breasts, which I’d let sit in a store-bought spicy mango marinade for an hour or so. 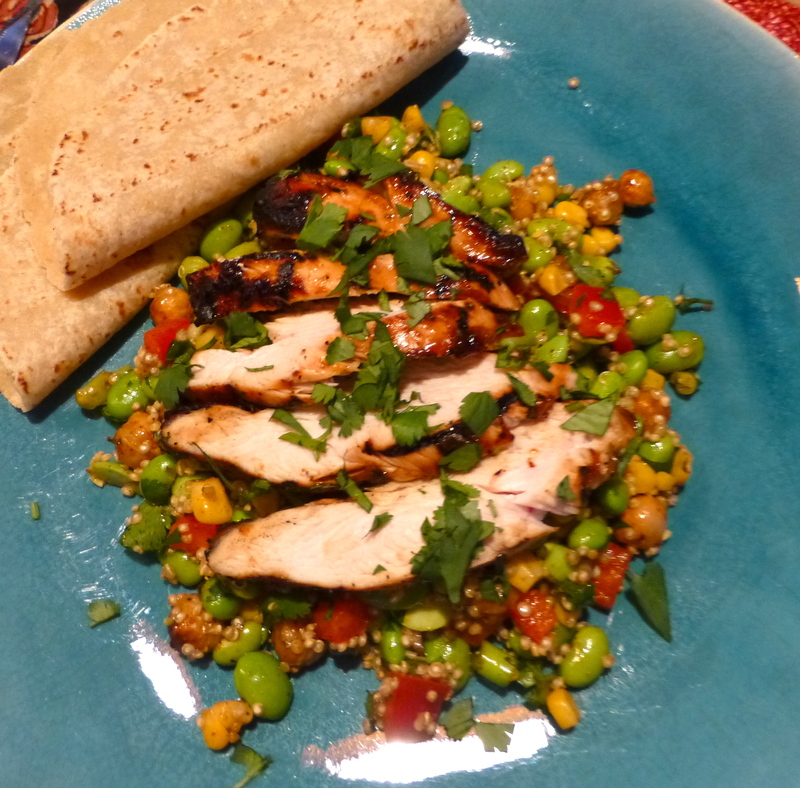 We sliced the chicken and served it right over the edamame quinoa salad. Scrumptious! 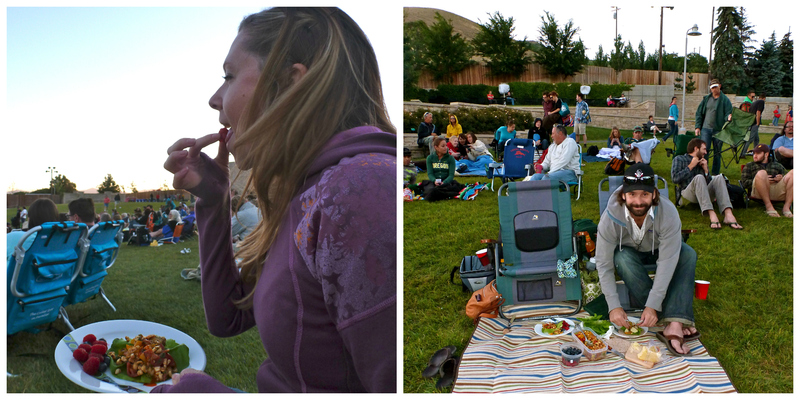 And last night, we enjoyed the quinoa again! 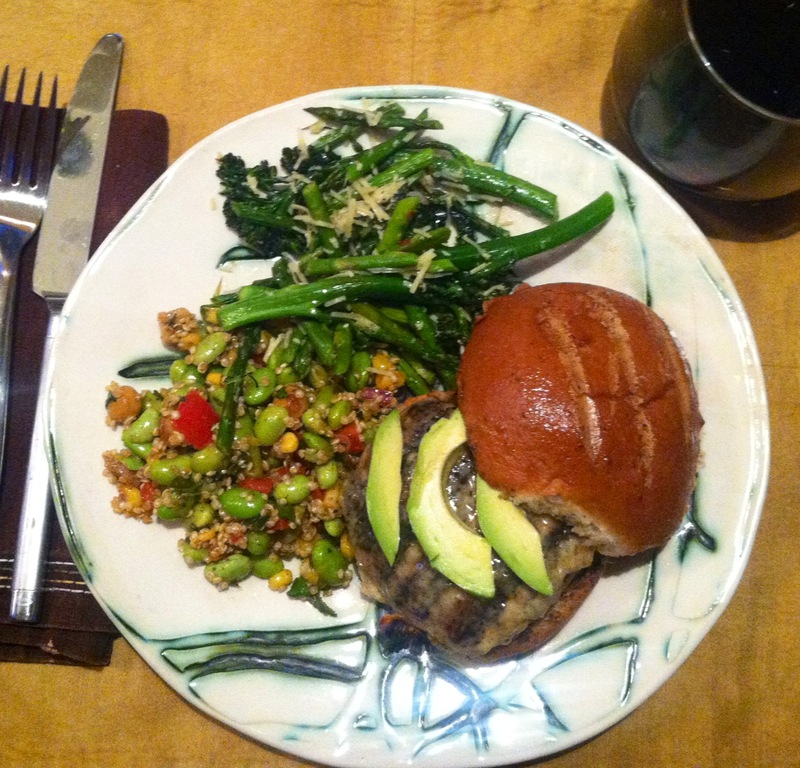 This time, it was chilled- and was the perfect alternative to salad with our turkey burgers. With both of these side dishes, I’d recommend being a tad heavy on the seasoning. 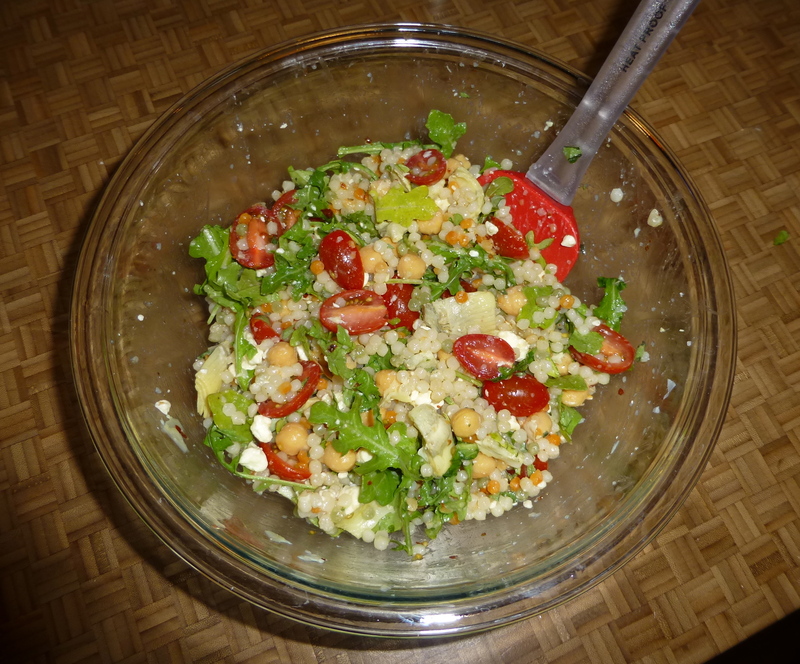 The couscous salad could have used more lemon, and next time I’ll make more of the quinoa’s dressing. 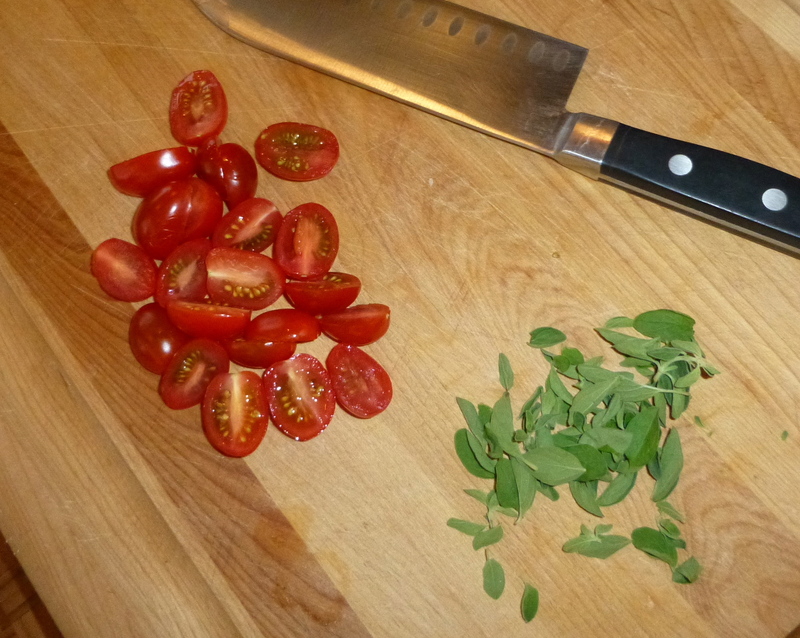 Both were fantastic as leftovers (and you know how I feel about leftovers). These light dishes beg for warm weather, to accompany something from the grill, to be eaten outside. 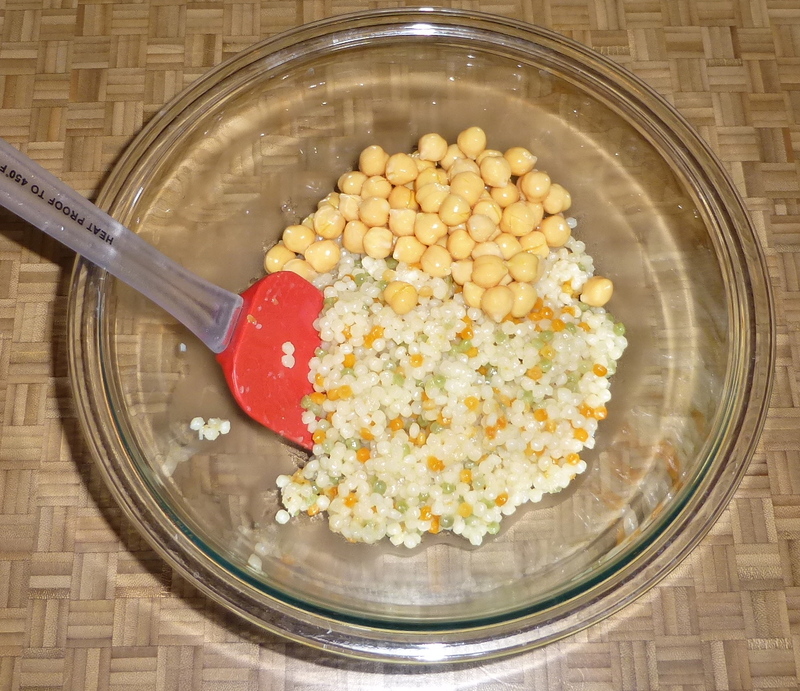 Stir all ingredients together in a large bowl, preferably while the couscous is still warm. 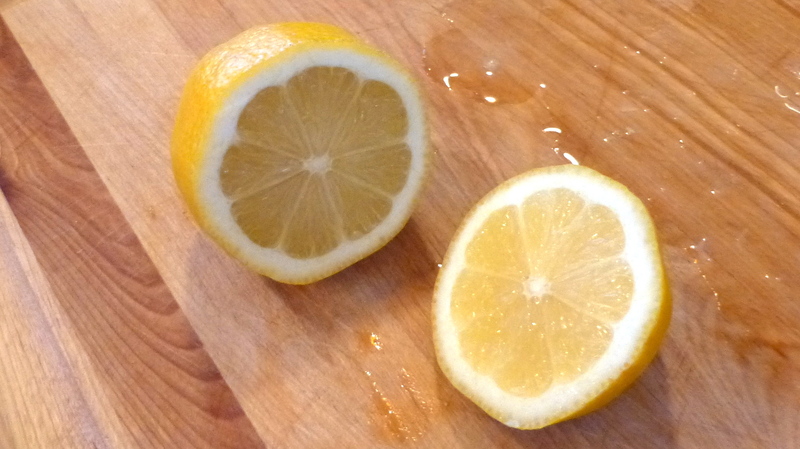 Serve warm or chilled with something grilled. YUM! 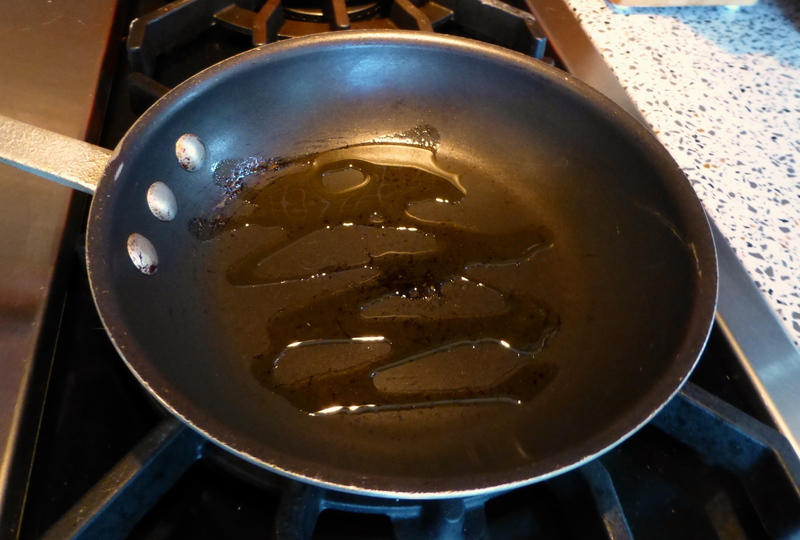 In a small fry pan, heat a little olive oil and a teaspoon of butter. 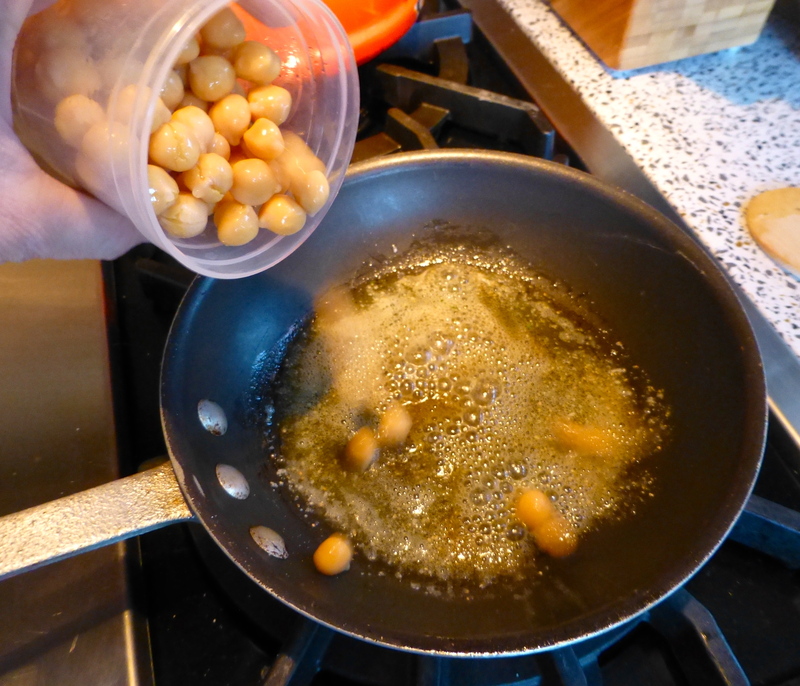 Add half a can of drained garbanzo beans. 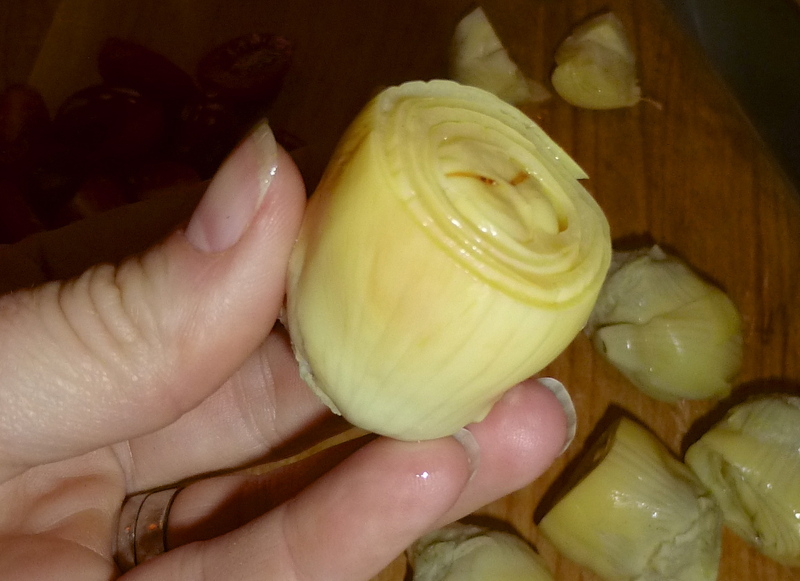 Season well with garlic salt and cumin. 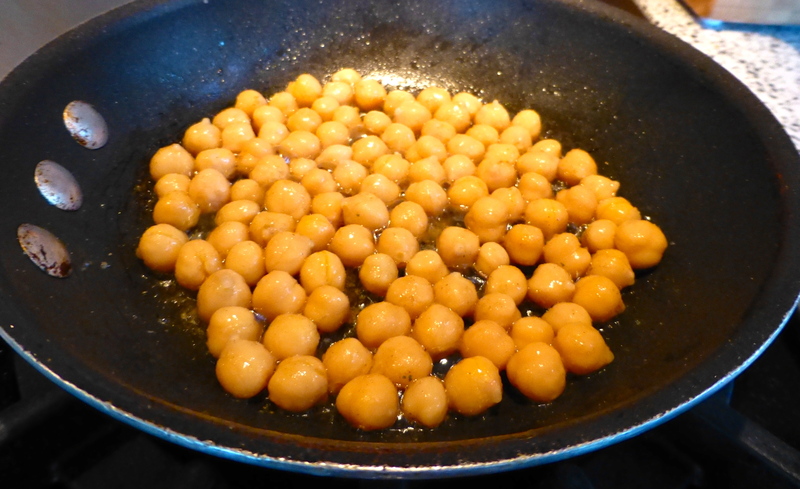 Let them cook, stirring occasionally, until the beans get browned and crunchy. Set aside. 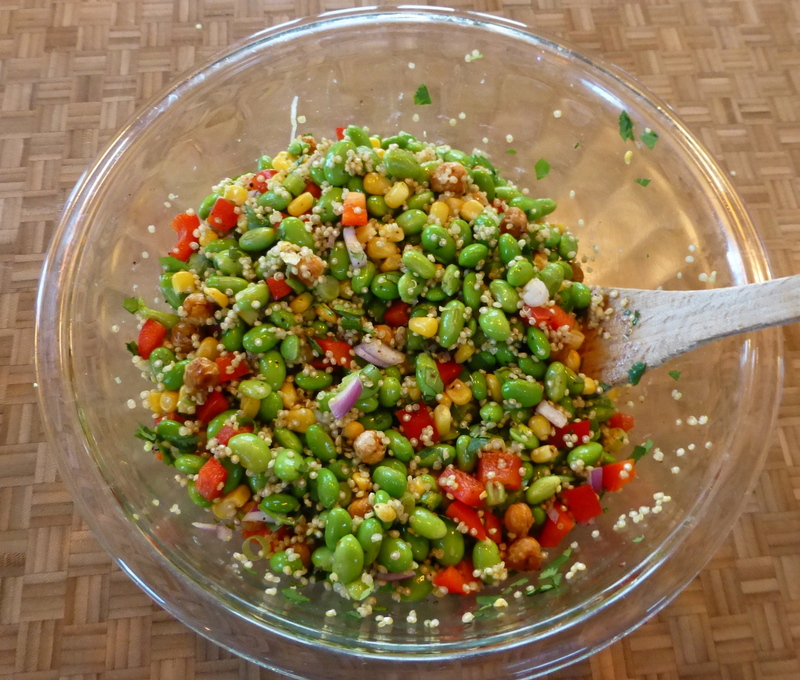 In a large bowl, combine the edamame, corn, quinoa, green onion, red pepper, cilantro, and garbanzo beans. 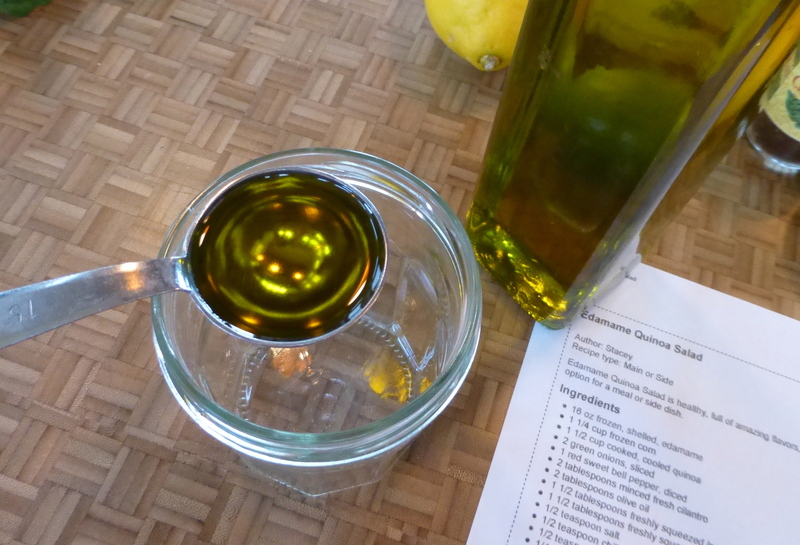 In a small lidded jar, combine the olive oil, lemon and lime juices, salt, chili powder, black pepper, thyme, and cayenne. Shake together until combined. Pour over the salad. 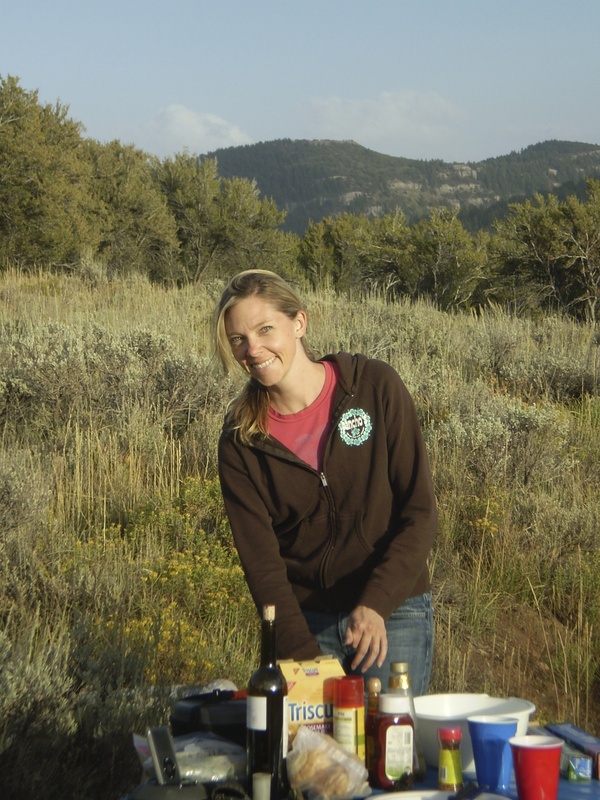 Stir well and serve warm or chilled on a camping trip or at a picnic. YUM! Previous postSunflowers, surprises, and Shel Silverstein. 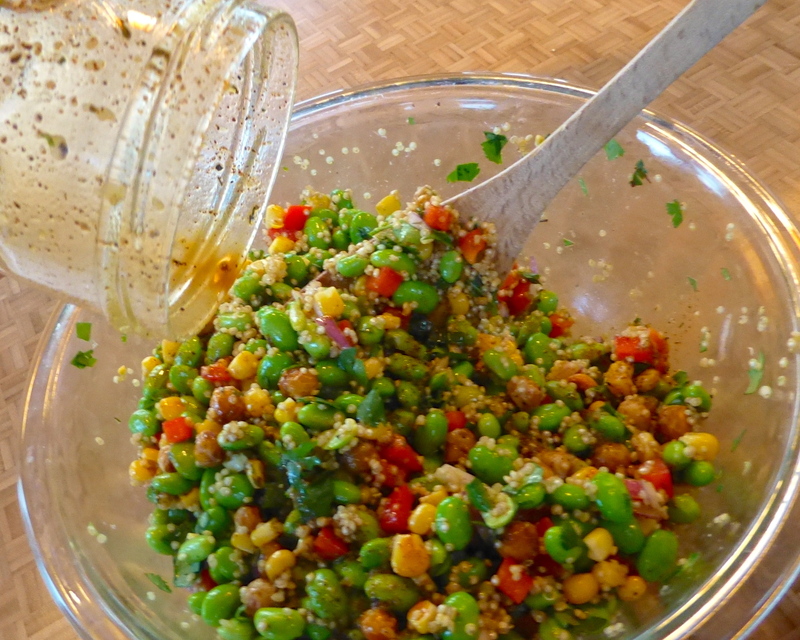 Great recipes, we have a cous cous salad that’s similar to the first one. I plan to write a post on it one of these days! 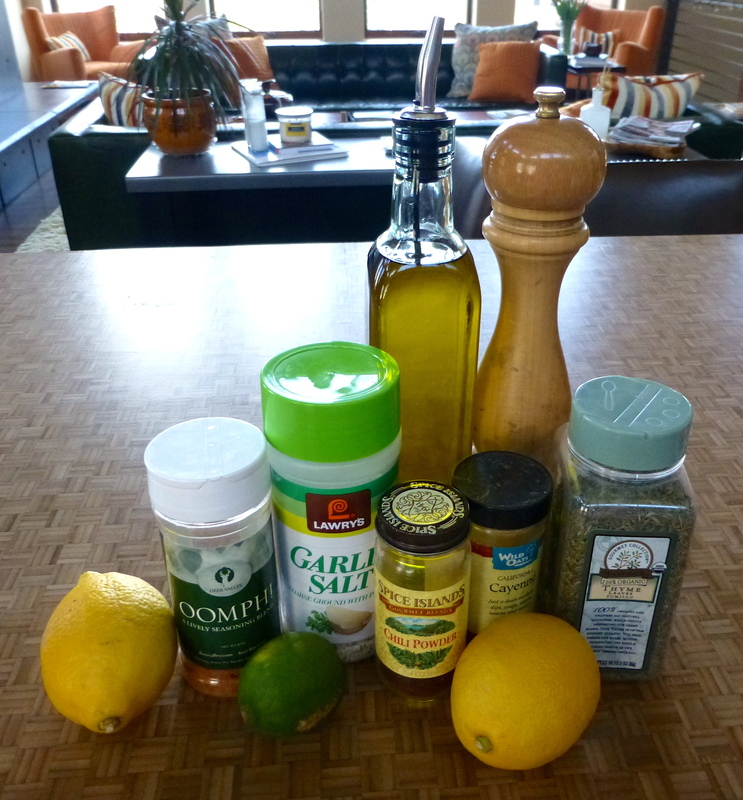 Any fresh herbs would be delicious, and maybe some lemon zest… I think it’s a good one to experiment with! Amber, those look and sound delicious! 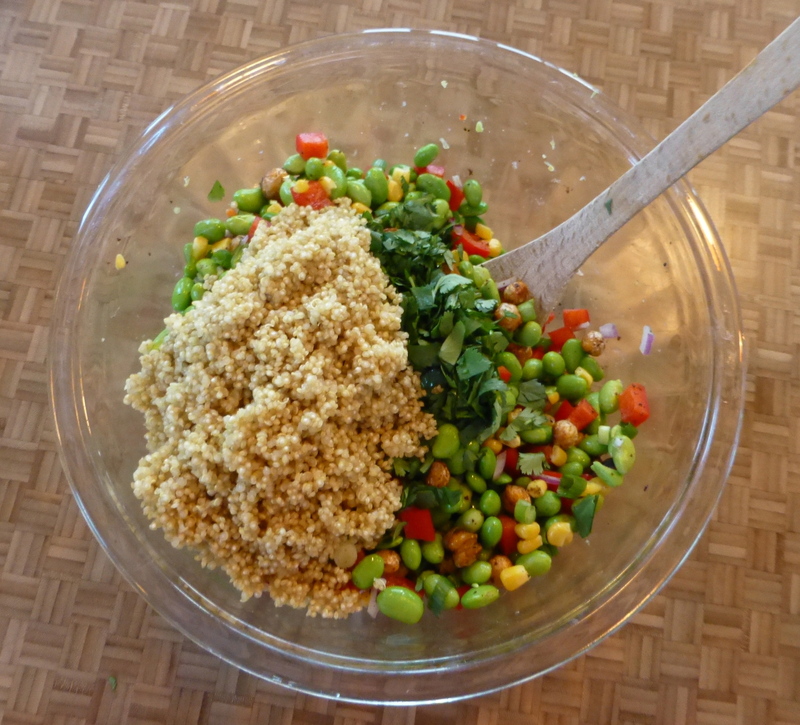 I’ve been dabbling more and more with quinoa these days and that salad is now added to my summer recipe list. Thanks for sharing such colorful dishes. Must blister some garbanzo beans immediately! Totally trying these soon! So colorful and looks delicious!